What is the Joint Investigation Team, What Is It for, Who's Leading it and Why is Malaysia Excluded? Several authors have recently asked why Malaysia is not part of the MH17 joint investigation team and why is Ukraine, a suspect in this case, part of it? The questions we should first be asking are what exactly is the joint investigation team, in which legal framework is it operating and why was it established? There are actually several investigations going on on the shootdown of MH17. We will, however, focus on two of them which people seem to get mixed up: the first official inquiry led by the Dutch Safety board (DSB), which published a preliminary report on September 9, 2014 and the joint investigation team inquiry, which was established August 7, 2014. The first investigation, led by the DSB an independent organization, is ruled by the Convention on International Civil Aviation, also known as the Chicago Convention, which was established by the International Civil Aviation Organization (ICAO), a United Nations agency. In the event of a plane crash, the country on which soil the accident occurs is responsible for the investigation, according to the Annex 13 protocol. The states which participate in the Dutch Safety Board inquiry are Malaysia, Ukraine, the Russian Federation, the United Kingdom, the United States of America and Australia. Apart from Ukraine, the United States and Russia, all other countries part of the investigation had nationals onboard MH17. The fact that other states take part in the investigation is also standard practice, so, for all we know, this investigation follows the international rules and recommendations of the Chicago Convention. On the other hand, that is, as we will see, the specific objective of the joint investigation team (JIT): to conduct a criminal investigation and “apportion blame”. It is a European entity conducting a criminal investigation under a European legal framework and which, unlike the Dutch Safety Board, does not have to abide by the rules of the ICAO. The JIT can include anyone or any state, but most importantly, and contrary to the DSB investigation, it is under no obligation to include Malaysia. What exactly is a joint investigation team? Ukraine has acceded to the European Convention on Mutual Assistance in Criminal Matters and thus may set up a JIT. In Ukraine the authority “which decides on setting up a joint investigation team shall be the General Prosecutor’s Office in Ukraine”. The rules and regulations of JITs can be found in the Article 20 of the Second Additional Protocol to the European Convention on Mutual Assistance in Criminal Matters. As you can see, there are clearly two investigations, operating under different legal frameworks and with two different purposes. It is convenient to note that nowhere in the DSB preliminary report is the word “crime” mentioned. Establishment of a JIT in the Hague: Who is Leading this Criminal Investigation? Today, public prosecutors and investigators from the 12 countries that are involved in the investigation into the crash of Malaysia Airlines Flight MH17 met at Eurojust in The Hague to discuss their judicial cooperation strategy. The Dutch Public Prosecution Service has started the coordination of international cooperation, and requested the assistance of Eurojust in arranging today’s coordination meeting. Eurojust is the EU’s judicial coordination and cooperation agency. Its mandate is to facilitate the coordination and cooperation of the Member States, and it can also invite countries from outside the European Union to participate in coordination meetings to plan strategies in fighting serious organised crime. At today’s meeting, chaired by Mr Han Moraal, National Member for the Netherlands at Eurojust, representatives of the 11 countries whose citizens are victims – the Netherlands, Australia, Malaysia, UK, Belgium, Germany, the Philippines, Canada, New Zealand, Indonesia and the USA – in addition to Ukraine, Europol and Interpol, were present. What the press release above does not mention is that the Ukrainian “Prosecutor General’s Office was one of those who initiated the formation of an international investigative group,” according to an article by Interfax. Does it mean that, since the JIT investigation is taking place in Ukraine, it is ruled by Ukrainian law and that Ukraine, one of the suspects, is leading the investigation? If so, this JIT investigation has no credibility whatsoever and is absolutely not independent. It is a parody of justice. The Prosecutor General’s Office recalled that an agreement setting up the joint investigative group of the Netherlands, Belgium, Australia, Ukraine, Malaysia and Eurojust was signed on August 7, 2014. The JIT investigation, on the other hand, is under no obligation to “communicate the report and findings” to Malaysia. A meeting was held at Eurojust on 28 July 2014, laying the groundwork for a good working relationship between the police and justice authorities of the countries involved. One of the forms this has taken is the establishment of a Joint Investigation Team (JIT), comprising representatives of the Netherlands, Australia, Belgium, Ukraine and Malaysia [as a “participant”]. This team will pave the way for better international cooperation, facilitating the exchange of knowledge, expertise and evidence. How is excluding Malaysia from the team and granting it an inferior status in the investigation paving “the way for better international cooperation, facilitating the exchange of knowledge, expertise and evidence?” It does exactly the opposite. Currently, the Netherlands, Belgium, Ukraine and Australia are in the joint investigation team. Why is Belgium part of the JIT and not Malaysia? Four Belgians died on the plane compared to 43 Malaysians. 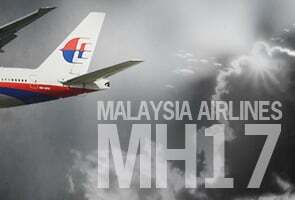 But more importantly, it was a Malaysian plane which was attacked. How can Malaysia be excluded from this investigation? Some authors argue that it is due to Malaysia’s reluctance to put the blame on the Russians or the Donetsk separatists without irrefutable evidence. Ukraine did not hesitate to point the finger at the militants in the Donetsk region though. We may recall that the exact same day the JIT agreement was signed, on August 7, 2014, Ukraine’s Secret Service (SBU) published its own investigation report entitled Terrorists and Militants planned cynical terrorist attack at Aeroflot civil aircraft. This report, which blames “pro-Russian rebels”, went virtually unnoticed in the mainstream press. According to the official SBU report entitled Terrorists and Militants planned cynical terrorist attack at Aeroflot civil aircraft, the Donetsk militia (with the support of Moscow) was aiming at a Russian Aeroflot passenger plane and shot down the Malaysian MH17 airliner by mistake. That’s the official Ukraine government story which has not been reported by the MSM. Why did Ukraine issue a report blaming the separatists the same day it joined the investigation team? And why didn’t the mainstream press talk about it? We can only speculate, but it is unusual that it was not a “breaking news”. Western governments, particularly the U.S., were quick to place the blame on Russia and/or the militants in Eastern Ukraine, who had allegedly “shot the passenger plane” down with a missile, or so they said. Without a shred of evidence, that narrative was parroted by the western mainstream media and is still upheld today, even though the preliminary report published by the Dutch Safety Board last September does not even mention once the term “missile”. The very unusual term “high energy objects” was used to describe what had hit the plane and caused its demise. Moreover, of significance, a major piece of legislation introduced into the US Congress H.Res. 758 refers to the downing of MH17 allegedly by Russia and pro-Russian separatists as a potential casus belli, which could be used to justify military action against the Russian Federation. For Western governments and their subservient media, the preliminary report “proved” they were right: “high energy objects” confirmed it was a missile that brought the plane down. Why then was not the word “missile” used in the report? It poses a serious problem that Ukraine is part of an investigation into an incident for which it is a suspect, when the main victim, Malaysia, is excluded. The investigation should either include all the suspects as well as the victims or none of them. But most importantly, Ukraine should not lead an investigation into a crime for which it is a suspect.